Kirstin here, writing from the ranch at the tail end of lovely Easter weekend. The weather is teasing us with nice, sunny days and I’ve been getting out into the garden to prepare for spring. 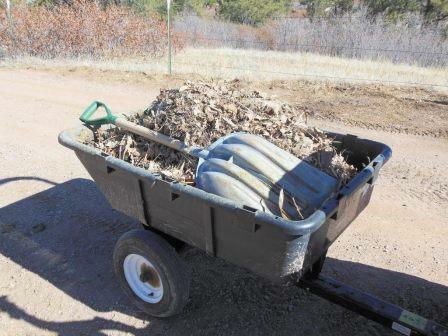 Since I was coming down for the holiday, I brought all my yard waste with me to add to the compost pile at the ranch. I packed three trash bags full of leaves and clippings into the back of my station wagon. One of three loads of compostable material I brought down with me. After we added my garden clippings to the pile, we decided I might as well take some of the well-cooked and ready-for-planting compost home with me! Dad fluffed up the pile with tractor, then we half-filled a few bags with “alpaca gold”. A friend of mine used our compost in his vegetable garden last year, and absolutely swears by the stuff, so I’m excited to see what it does for my flowers. He said his tomatoes were double their usual size. It may seem strange that I carted a bunch of compost halfway across the state when I could have just left it on the curb for the trash company. Our local trash collectors actually have a seasonal compostable materials pickup, which is unusual in a small town like ours, but it doesn’t start until May. And I just couldn’t bring myself to send it to the landfill, where it would have decomposed underground, potentially leaching methane into the groundwater, when it could enrich our infertile Colorado soils as compost. This entry was posted in completely unrelated and tagged compost, ranch life. Bookmark the permalink. Good morning – great minds DO think alike! 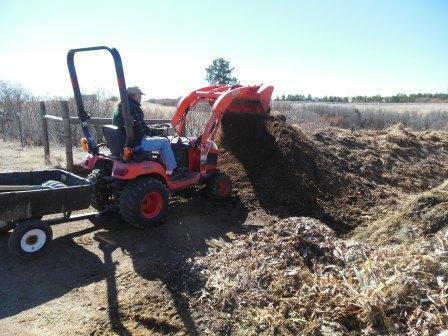 I am in the process of sending a blog on – MANURE! lol! To think, we’re both thinking about manure. Weird! You get a gold star for all that work Kirstin. So you don’t live on the ranch? I didn’t realise that. 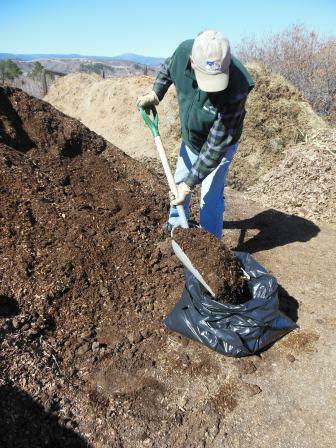 The mulch will compost beautifully with the Alpaca gold (great expression). Yeah, Mom and Dad are mostly on their own on the ranch these days. My little brother, who is mostly all grown up, still comes home from college every weekend, but I’m pretty well entrenched in a different town now. It’s about two hours away, and I make it home once a month or so.